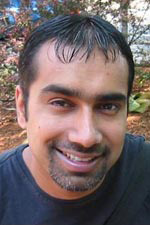 On February 28, 2006, the Media Lab lost a great friend and colleague with the passing of Push Singh. Push first came to the Media Lab as an undergraduate researcher and stayed on to earn his MEng in 1998 and PhD in 2005, both in electrical engineering and computer science. Most recently he was a postdoctoral fellow, and had accepted a faculty appointment beginning September 2007. Push worked closely with Marvin Minsky and others in the Lab to pioneer human-like common sense for computers. He had a unique intellect and was best known to the world for his groundbreaking research in opening the possibility for a true partnership between people and machines. But for those who had the privilege to work with him every day, he will be most fondly remembered for his kindness, honesty, and compassion. He was a creative and brilliant researcher, teacher, and mentor. To honor Push, the Media Lab has established the Push Singh Memorial Fund. This endowed fund will be used in perpetuity to support the research activities of both undergraduates and graduate students at the Lab. Those who would like to contribute to this fund may donate online, by phone, or by mail. If you have any questions regarding a donation, please e-mail Stacie Slotnick at slotnick@media.mit.edu. Complete the donation form with the amount of your gift and any company matching information. Make sure you enter that the gift is in memory of Push. Follow the instructions to enter payment information.